Motto: Have a plan and be prepared. 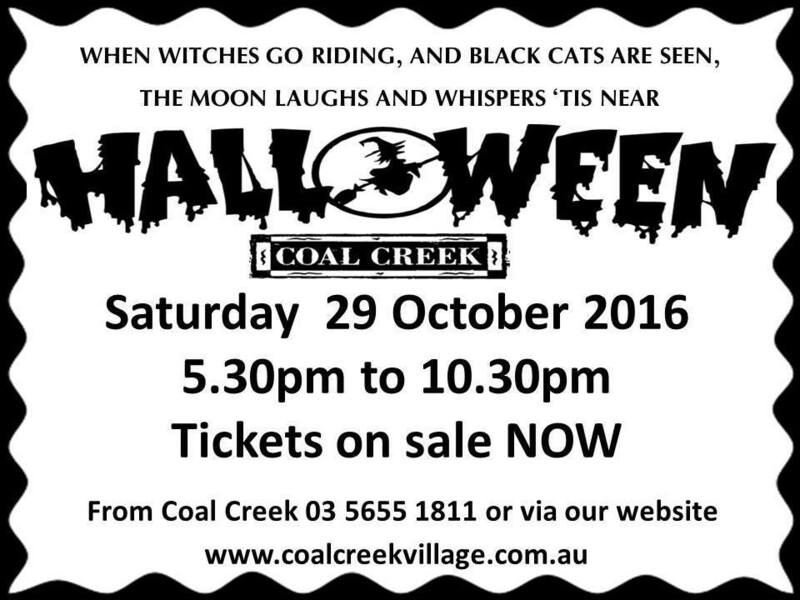 Trick or Treat at Coal Creek this Halloween for the ultimate night of fright and delight. There will be dress-ups, free activities, spooky buildings and even a Ghost Train! Witches and ghosts, goblins and ghouls ... Feel the festive spirit and add to the atmosphere by dressing up in the darkest and scariest costume you can think of. As added incentive, there will be prizes for the best-dressed characters in several different categories. There will be the Under 5 years, under 15 years, and best open female and male categories with a $100 prize for the best overall winner and $100 prize for the best Family. 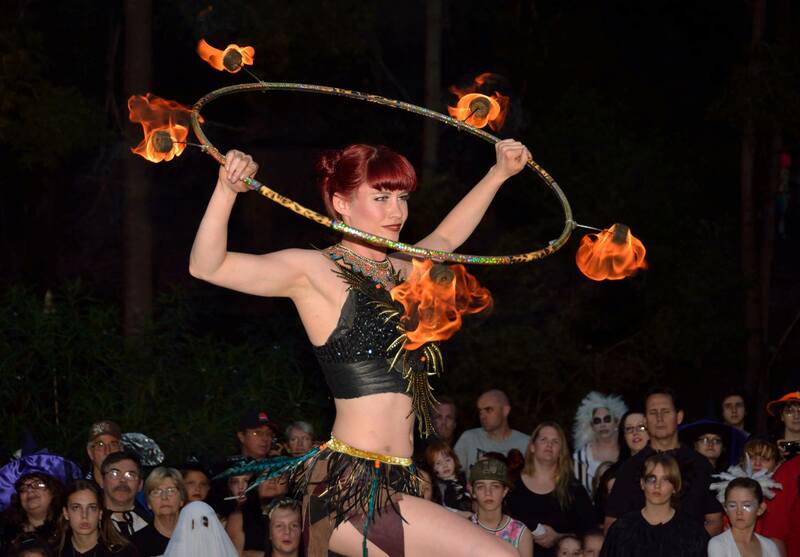 Free activities on the night will include traditional, old-fashioned games such as apple bobbing, a Monster Bash Disco and live fire twirling entertainment to paint the night sky red. Gather around the big bonfire, enjoy the reptile show and take a wander through the spooky haunted houses. Children are able to trick or treat around the park for $5.00 per person (with an additional $3.20 booking fee). Ticket sales close at 3pm on Friday 28th October 2016 and can be purchased through moshtix by following the link here. Scare and be scared at Coal Creek's Halloween special event on Saturday 29th October 2016 from 5.30pm to 10.30pm. Entry is $1 per person payable upon entry. It is highly recommended that you pre-book tickets on the Ghost Train by calling 5655 1811 before the night as places are strictly limited. Tickets on the ghost train are $5 per person. Food and drink will be available to purchase around the park. Please note: This is an alcohol-free event. Coal Creek is located at 12 Silkstone Road (South Gippsland Highway), Korumburra. There is plenty of onsite parking and BBQ facilities in the car park. Picnics are more than welcome. The park is open every day during school holidays from 10am to 4.30pm and on non-event days entry is FREE! Visit the Coal Creek website for more information about the park and upcoming events.